Are the carriers the reason for Samsung’s lagging Windows Phone effort in the US? Samsung is the big kid on the block. The Korean manufacturer is the largest handset maker in the world. In the US, half of all the Android devices lighting up the networks are made by Samsung. No doubt, Samsung carries a lot of clout, they make and sell hundreds of millions of smartphones every year, so the company knows it is doing something right. 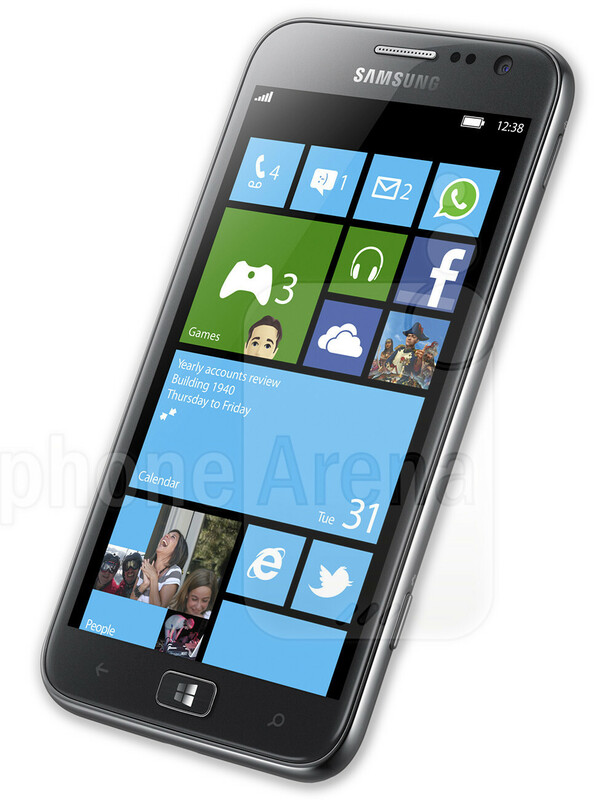 Samsung was the first manufacturer to announce a Windows Phone 8 handset, the ATIV S, way back in August 2012. Then, news about the Samsung ATIV S was relatively uneventful for a while. The Samsung ATIV S was never announced for the US market, though the device is available in Canada, Europe and elsewhere. The official word from Microsoft was that Samsung would offer the ATIV Odyssey in the US on Verizon starting this past December, but we all know how that went. We got to see the ATIV Odyssey in action at CES a couple weeks ago, but still no official date as to when it would be available. Information about a possible release on the 24th is still based only on a leak. 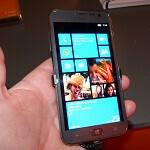 Did carriers resist a Windows Phone 8 push from Samsung? Why has Samsung, a company that knows how to dominate a market segment, been so slow off the blocks to bring a Windows Phone 8 device in the US, and an entry-level one at that? Well, analysts tell The Korean Times that carriers are being “intentionally less enthusiastic” about Samsung’s Windows Phone 8 devices. It would seem that the carriers do not wish Samsung to dominate two platforms. The more dominant the manufacturer gets, the more it is able to dictate the terms for its devices being offered in a given market. Kim Sang-pyo of HMC Securities believes that carriers will eventually bend to Samsung’s pressure to offer more Windows Phone devices. Citing that the Android ecosystem is getting more and more saturated, Samsung sees Windows Phone as a solid diversification avenue since the outlook for Windows Phone 8 is looking good, and Nokia just posted some great sales figures to back that forecast. A couple other analysts agree with that overall outlook, with one noting that Samsung also has a stronger brand loyalty over whatever loyalty there may be to Android as an operating system. One example given is Samsung’s sales of the Windows 8 ATIV tablets, in South Korea, Samsung has sold over 80,000 of them, beating sales of the Nexus 7. ATIV Odyssey to launch in US "in coming weeks"
Maybe Microsoft played favorites with Nokia and HTC to give the two underdogs a foothold with the new platform. It is certainly feasible that US carriers scoffed at Samsung’s plans for a higher end Windows Phone, given the manufacturer’s success with Android it is entirely possible Samsung wanted volume guarantees that the carriers, particularly AT&T and Verizon, were not willing to sign up in the wake of anemic Windows Phone 7 sales. What do you think? Is this the work of the carriers keeping Samsung at bay? I guess SS is making WP only b-c they want to maintain good relationship with MS and perhaps a lot of pushing from Ballmer. for new brand to sell (Ativ) SS needs to spend lots of money on marketing and they have to educate users about WP as well which is obviously not a profitable business. WP means Nokia, and Nokia's potentially dangerous opponent to SS and I think SS want to protect their current money machine, that's Android. "marketing is a small fraction of cost compared to the profits gained" I agree provided you can sell, if you can't sell the ads money may be bigger than your total sales. Just ask MS and Nokia about ad campaign for Lumia 900. "SS can just release several wp phones like they do with android and thats all it takes to drive nokia out of the competition" lol, I return your own words: "what the hell are you talking about?" Ask the people what are the 1st phones they will consider if they want a WP. They will tell you: it's Nokia. I agree with you Nokia should build Android phones, but this is off topic here. I'm not against SS making WP, and I don't think SS is afraid of Nokia either. But I think SS is very smart company and they know where best to invest their capital. WP is MS proprietary OS to which SS has absolutely no rights so I think SS will wait until WP8 has momentum to ride on. As of now SS has to spend money to push WP and that's I think not what SS wants to do. Besides SS is not afraid of Nokia doesn't mean SS wants to help strengthen the ecosystem where Nokia has clear advantage. Its a good theory. I never thought about that before....the Galaxy S line is wildly popular....yet Samsung WP arent. I dont know if its the carriers but maybe MS? Especially with their baby, Nokia. I meant their baby as in MS would favor Nokia over Samsung. I agree that Microsoft is perhaps playing favorites because Nokia and HTC have been sucking pretty bad lately up until windows 8. Honestly though, Samsung will still come out onto, their influence is spread throughout the world and they have loyal customers along with many resources and means to crush the competition. Microsoft just wants to keep Samsung down because it's done so well in the Android ecosystem and would come off as too confident. Microsoft wants to keep Samsung under its thumb, problem with that is... It ain't gonna work. NO it just that Nokia Lumia 920 is too Good !! This is a bit of conspiracy theory gone wild. The only time a manufacturer gets to dictate terms to carriers is when the carrier wants to offer a specific manufacturer's toy and there is only one source for the toy (as in Apple and the iPhone). Last I checked, there were two alternative WP manufacturers - Nokia and HTC. For those who think that Sammy 'dictates' terms to VZW, do you notice an absence of bloatware on Sammy phones sold by VZW? How about the iPhone? Sammy has managed to dominate the Android universe by not dictating terms to carriers. I suspect the real reason why there are no Sammy WP phones selling in the U.S. is that Sammy was looking for volume purchase commitments that the carriers were not willing to make. But that is not Sammy attempting to 'dictate' terms to the carriers. The U.S. carriers are more likely taking a wait-and-see approach to WP. Tell that to Sprint when they have to bend over to renew their agreement with Apple. The carrier won't see profits from that little tryst for years to come. Try re-reading my first paragraph. "I suspect the real reason why there are no Sammy WP phones selling in the U.S. is that Sammy was looking for volume purchase commitments that the carriers were not willing to make" -- that is stating terms (dictated or whatever). Samsung is in a similar position to Apple. The manufacturer moves that volume by securing volume guarantees from the carriers. I don't care the reason for s**t cause all I want is that Samsung Ativ S and I want it more then those colorful turds that are out now.... I don't care what anybody says just know that I want it. All it takes is an sgs4 version of wp. When thats done you don't have to teach sammy about marketing it. Since Samsung is a typical asian manufacturer, it is no surprise that carriers do not want to distract attention from models with Android. With WinPhone, Samsung cannot offer anything interesting(not that with Android it can, actualy). I have heard supply issues- some posters on WP Central thought that the ATIV S was only getting moderate roll outs due to high demand for the similar S3. I have heard that Samsung was more interested in a US branded ATIV after this springs WP 8.1 (or whatever it will be called) update. I have theorized that Samsung is more interested in Windows 8 tablets. It just feels like Sammy put out a WP 8 with a "might as well, can't let Nokia run free" kinda thing, and really went half efforts with it after HTC and the 8X were a decent foil for Nokia. (Neat jumps of logic on my part, huh?) Either way, US consumers who like WP or are huge Sammy fans loose out. I think it is a device that fills a need that neither the 920 or the 8X do. Largest screen, expandable memory, exchangeable battery. Gamers and multi-media users would have had a nice option.